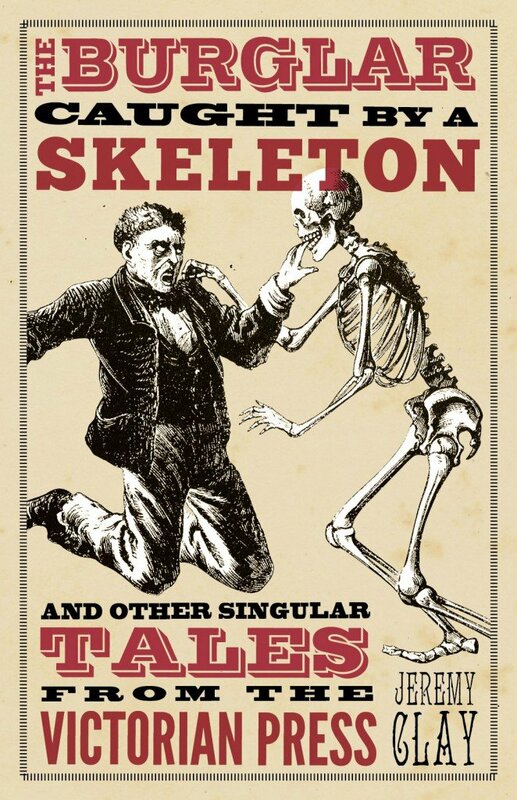 Jeremy Clay has scoured Victorian newspapers for tidbits and tales of bizarre and amazing news and compiled them into this handy book. Need to impress someone at a party? Need to one-up that guy at work? Get some ideas here — or just enjoy the strange stories and incredible journalistic style of the British press. An unusual case of domestic strife involving a man named Michael Puckridge and his wife, in Winbush, a village in Northumberland. The Puckridges were not a happy couple. ‘Mrs Puckridge, who is an interesting looking young woman, has for a long time past suffered from varicose veins in the legs. Her husband told her he possessed an infallible remedy for this ailment. ‘She was induced by her tormentor to allow herself to be tied to a plank, which he placed across two chairs. When the poor woman was bound and helpless, Puckridge deliberately and persistently tickled the soles of her feet with a feather. The luckless Mrs Puckridge was subsequently committed to an asylum. The articles are organized by general category and theme. The start of the each chapter is introduced by Clay with a bit of context — humorously put. It’s a must-read for anyone who wants to be amused by strange truth and vintage perspectives. The term magpie doesn’t have quite the same connotation in America as it does in England. Not only is it a crow-like bird, it is also a curious collector of bits and bobs. Often it picks up random items that catch its eye, regardless of actual worth or usefulness. And admit it — we all have this aspect to our personalities. 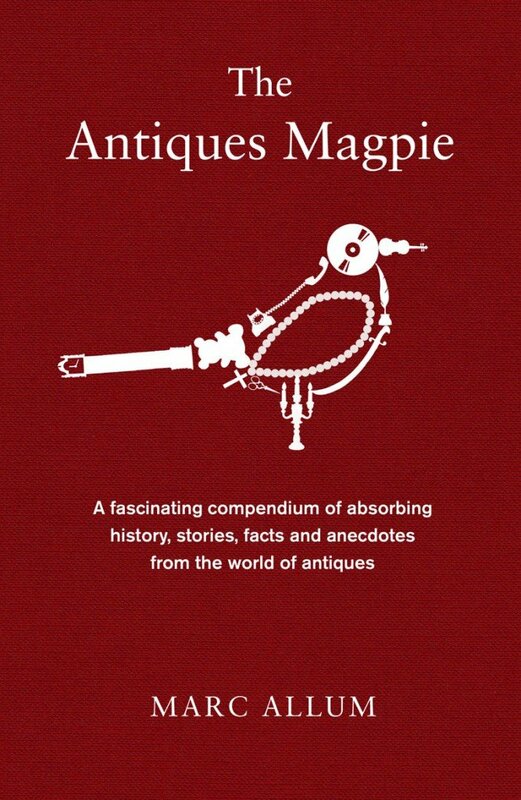 Marc Allum is a legitimate antiques dealer who has complied stories and legends about those unlikely objects that had made it into collections around the world. He (finally) distinguishes between a “davenport” and a “canterbury”, he explains some of the ways he and other experts find a fake and even explores the history of weird, one-of-a-kind items. Some of these oddities are Guy Fawkes’ lantern, Napoleon’s toothbrush, The Spear of Destiny, Darwin’s walking stick, and the Duke of Wellington’s boots. It’s a light-hearted guidebook to antiquing and how to enjoy it even more. Grab it before your next “junking” excursion or chic auction house. Many, many thanks to Henry at Icon Books for the the review copies/e-galley access.